Interesting that US Torchwood will have bits UK won’t & UK Torchwood will have bits that US won’t. So which is the ‘proper’ version? PANIC!! So, the UK versions are not only going to be censored, they’re going to be padded with material considered sufficiently inessential that it was just dropped for timing in the US? Oh, great. This is going to go down well. 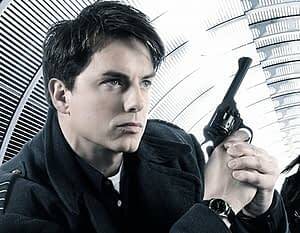 Here’s a little insult to salt that injury: BBC schedules until July 15th have been published, and there’s no Torchwood to be seen. Assuming it screens on Saturday 16th, and that’s not entirely unreasonable, this means Starz has an 8 day lead time.